Review RIM's efforts to create a purely touchscreen device haven't exactly been the most successful departure for the BlackBerry maker. Yes, the Storm handsets had their fans but they were simply not good enough to halt RIM's market share migration to Android and iOS. 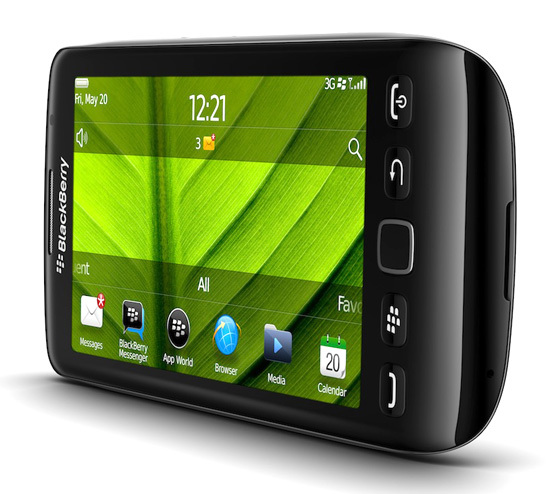 The new Torch 9860 is tasked with reversing that situation, while at the same time going head-to-head with the likes of the iPhone 4S, Galaxy Nexus (Prime) and Nokia Lumia 800. That’s quite some hill to climb no matter which way you look at it. Thankfully the headline spec gives cause for optimism. Up front there is a 3.7in 480 x 800 screen and inside a 1.2GHz single-core CPU with 768MB of RAM. On-board storage is a reasonable 4GB and there is a hot-swappable SD card slot to add a further 32GB. 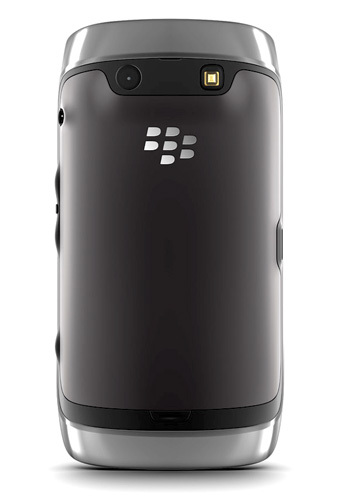 Physically, what separates the BlackBerry Torch 9860 from the competition is the row of physical buttons below the screen. In the middle is an optical trackpad which is flanked by call-end, menu, back step and call-answer/off buttons. The back button didn’t work on my review handset, but I’ll put that down to a one-off failing. The sides are comparatively devoid of controls. The standby button is built into the top of the handset while the volume and convenience buttons reside on the right along with the 3.5mm audio socket. An open micro USB socket for charging and sync sits mid-way up the left hand side. To my eyes, it’s pretty a handsome beast with the polished black fascia surrounded by a smart chrome band that loops around the back at the top and bottom. 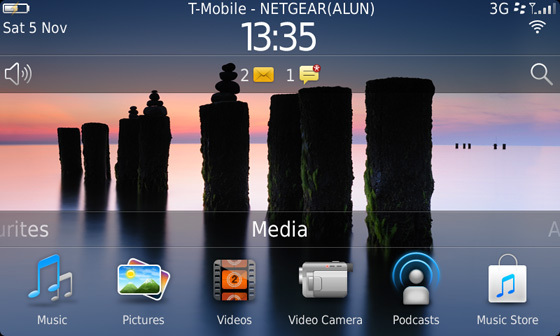 Although it uses a plain TFT LCD rather than AMOLED panel the screen is bright and crisp enough to satisfy most users and is no more susceptible to fingerprints than the iPhone4S.